This year was a good one full of many changes and much healing! We started the year with a trip downtown with friends, the flu, and a new hobby of couponing. We played in the snow and Makenzie got her first ever award at school. The boys also started hockey the beginning of this year. Mr 11 particitpated in Destination Imagination and Makenzie and I took our first road trip in March to Texas to be in Ms. Stephanie's wedding. Makenzie was the most beautiful flower girl ever and we had so much fun! 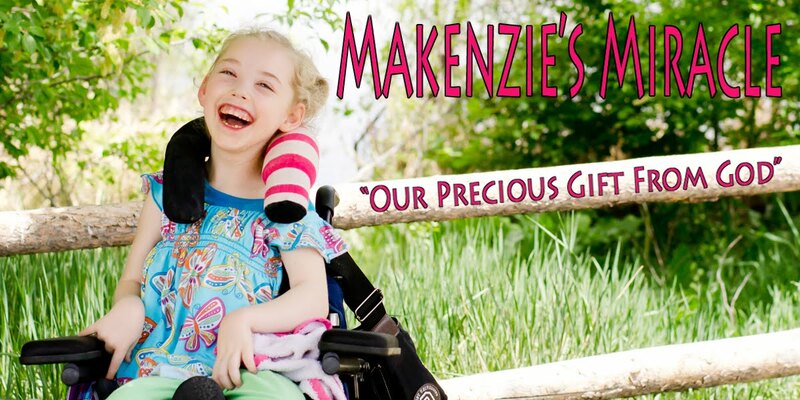 Makenzie also worked really hard on talking with her eye gaze and driving her power chair in 2012 and on March 25th we celebrated the aniversery of Makenzie's accident with a huge celebration of life party! Mr 11 also had another bout of infection in his gut but before the year was through, after another PICC line, IV antibiotics, a blood clot, and blood thinners, and the removal of an appendix, he was given a clean bill of health! God is so very good! Makenzie loved her walker this year and also loved her very first field trip to the farm with all of her friends! This year Makenzie also finished her very first full year of school with a program and my oldest moved from middle school to high school. We celebrated summer birthdays outside on the deck. Makenzie turned 7 this year. Ms Stephanie came to visit, we went to Elitches, picnics, out for ice cream, and swimming. The summer also brought Makenzie a Sleep Safe bed and for the first time since her accident she started sleeping away from Mommy in her own bed. Makenzie had another great go at eating by mouth this year! She rocked it out but in true Makenzie fashion decided that it was fun but she was done. We continued the blended diet this year and Makenzie continues to grow and thrive. I learned how to make big bows that Makenzie now touts on the top of her head and right before school started Makenzie gave the trike another go and took off. We went to the mountains for a family reunion and school started along with Mr 15's first season of high school football. In September I went back to school, Grandma Linda got married and Makenzie was riding and driving all over her school. We made it through another election, Makenzie learned how to do the dishes, and found out that soon Makenzie will be receiving her very own trike. My newest neice was born this year and I got to take pictures of her several weeks after her birth. We made it through Christmas and had a real tree for the first time. We started some new tradidtions and spent a lot of time with family and friends. We ended the year with a movie and dinner and sleep over in the livingroom waking up to a new year. 2012 has been a year of new beginings. It was a great year! Makenzie is doing so well and I feel nothing but blessed that she is who she is. It has been a long journey but God has provided all that we have ever needed! 2013 is going to start with a bang and then we will all go back to school. Thank you all so much for your love, support, and prayers, in 2012! It was a great year! Wishing you and your family a happy and blessed new year! May The Lord continue to touch your hearts, bless your family and fill you all with the Holy Spirit! I so love the image of Makenzie snug and warm in her very on bed, such a warm, sweet image. Also, the photo of Makenzie with your son (second to last image)looking at the Top thing is such a wonderful and priceless image.